Item # 308308 Stash Points: 3,995 (?) This is the number of points you get in The Zumiez Stash for purchasing this item. Stash points are redeemable for exclusive rewards only available to Zumiez Stash members. To redeem your points check out the rewards catalog on thestash.zumiez.com. Complete your gym attire with these super comfortable elastic waist shorts from Supra. 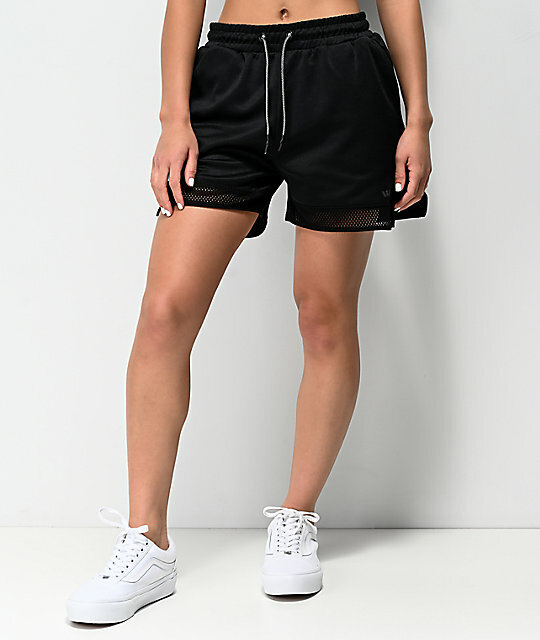 These all black shorts feature two side hand pockets, an elastic waist for comfort and are finished with mesh details and high-cut outseams for a cute touch. 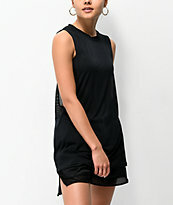 All City Black Elastic Waist Shorts from Supra. High cut details at each outseam. Supra brand logo at lower left leg.